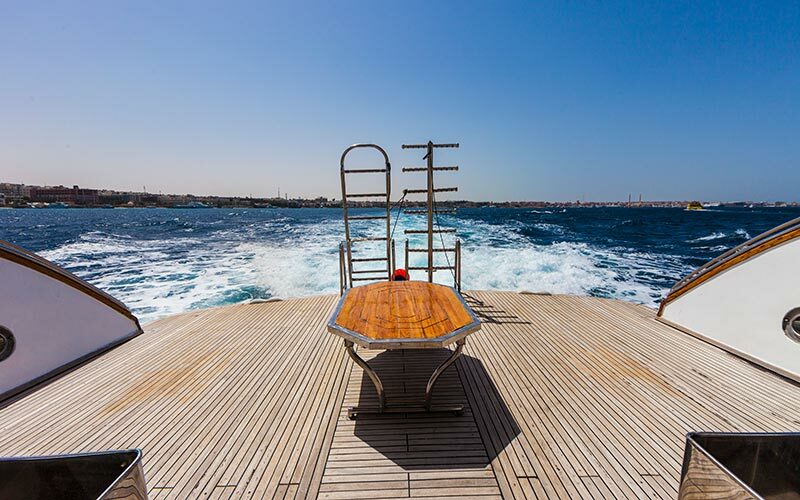 Style and Innovation – the perfect combination out of this was built in 2008 and is impressing all divers doing a liveaboard with it since the first trip. 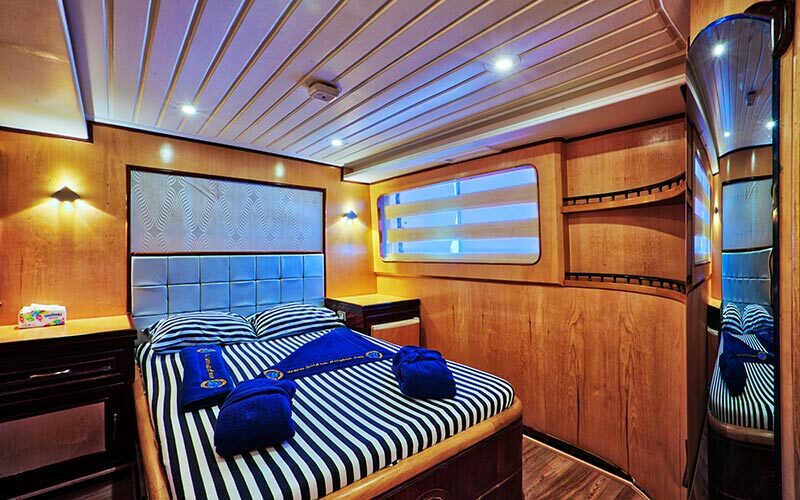 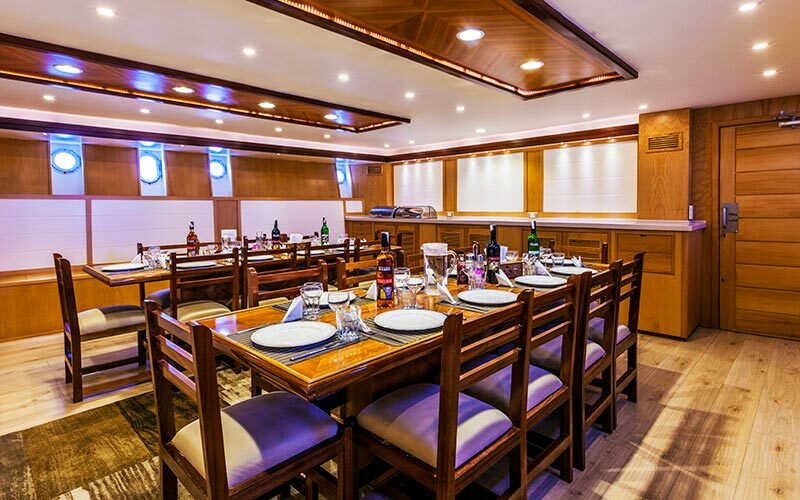 10 double cabins (2 of them with king-size bed), private bathroom, air condition and minibar. 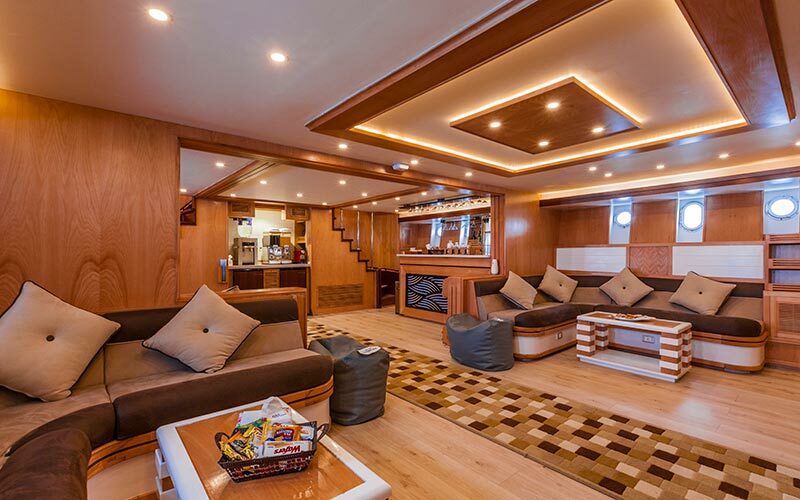 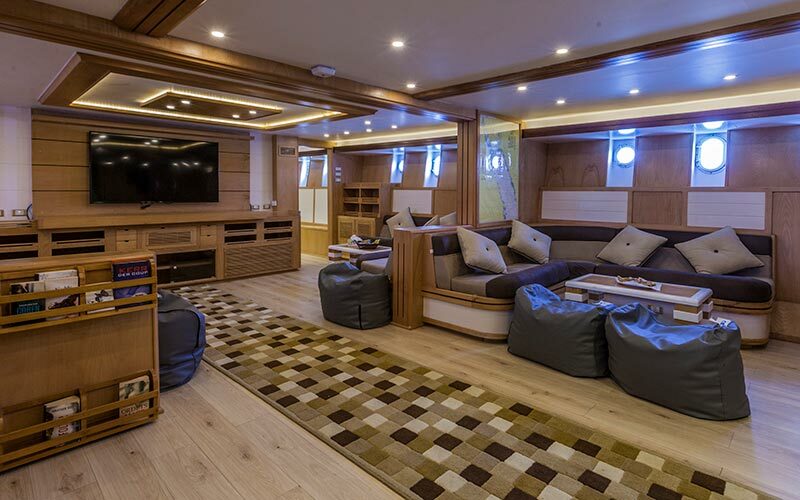 Uniquely located on the main and upper deck while the dining and salon area with TV/Video/DVD is located at the lower deck. 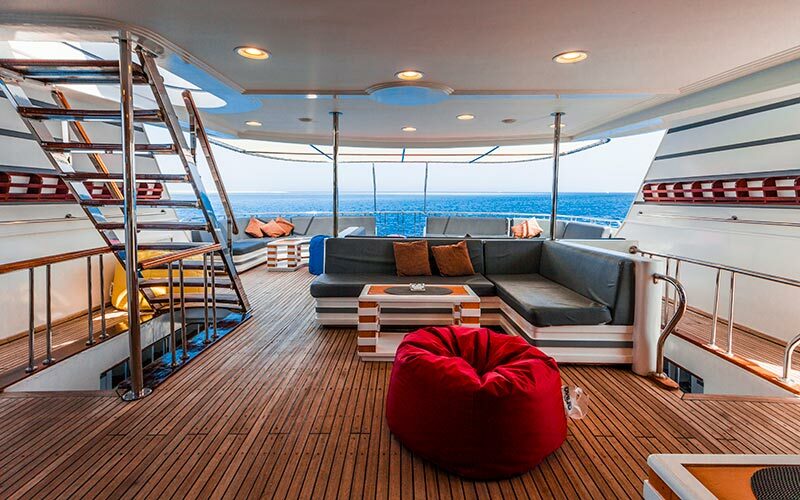 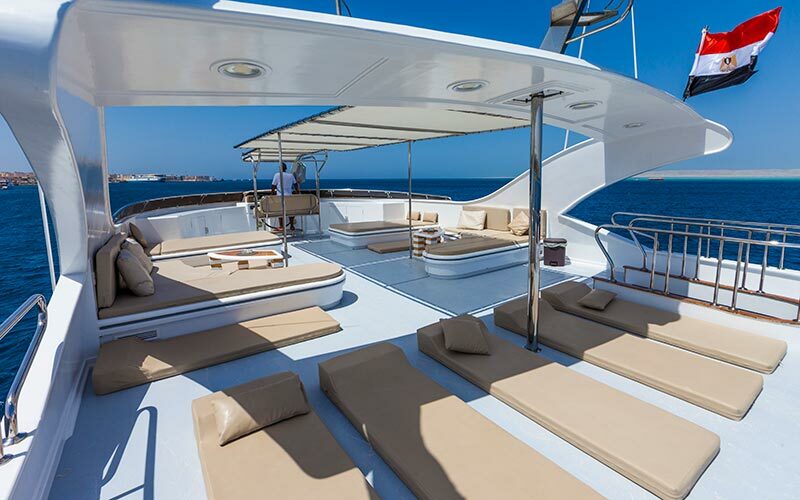 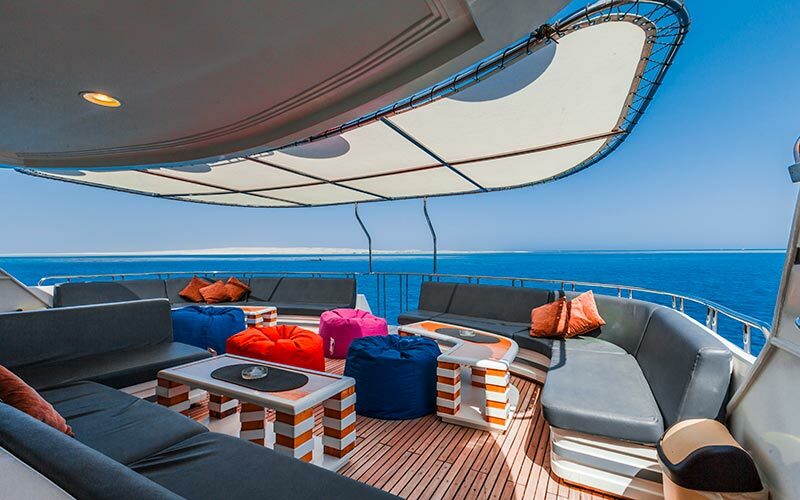 A perfect place to relax are the two excellent arranged sun decks. 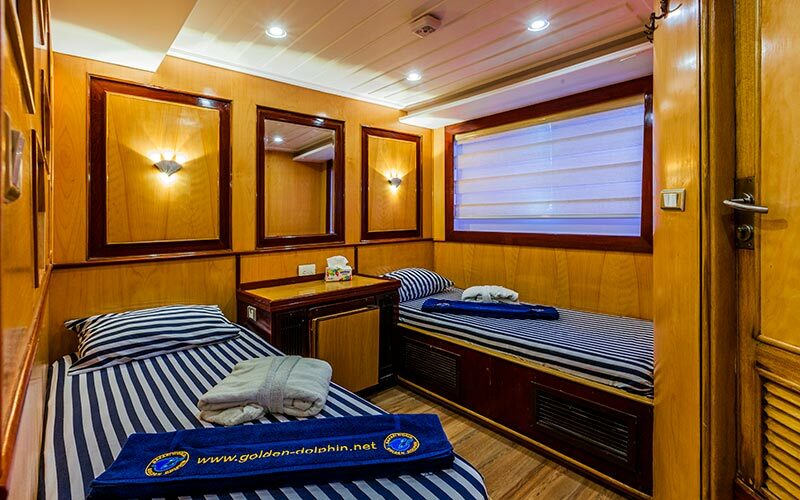 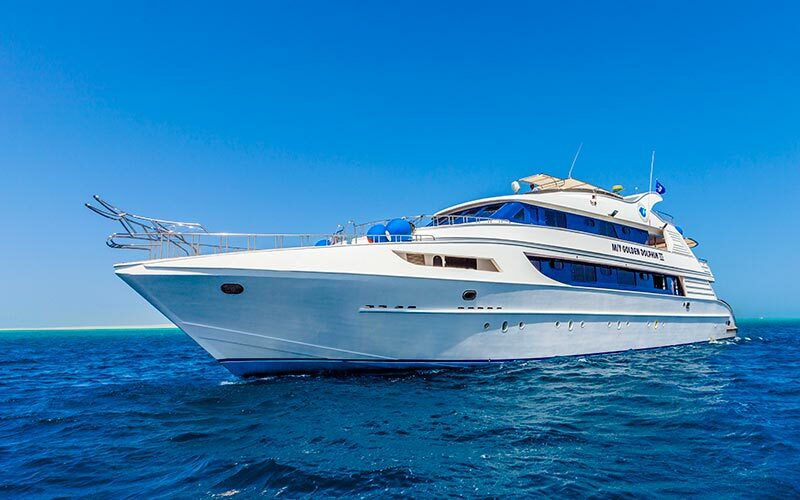 M/Y GOLDEN DOLPHIN III – a boat that makes a divers’ heart beating faster!